In mid-January 2018, I had the opportunity to catch up with Adaptive Insights’ VP of Product Marketing, who provided an informed update on the firm. Having followed Adaptive Insights for more than 10 years, I was gratified to learn that it had reached two important milestones by year-end 2017 – surpassing both the $100 million USD revenue threshold and $100 million USD in annual recurring subscriptions under contract. Both of these are visible markers that often signal an IPO on the horizon – which I would not be surprised to see by mid-to-late 2018, should the current window remain open. With more than 3,700 customers, 30 percent top-line growth, a rebuilt and strengthened senior management team (built to further scale the business), and an expanded set of beachhead solutions beyond the Office of the CFO (and the Financial Planning / Performance Management / Budgeting / Forecasting / Reporting market), Adaptive Insights is poised to enter its next phase of growth. 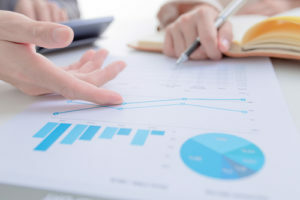 While well known for its ease-of-use, highly collaborative approach to planning and strong data discovery / visualization capabilities (via dashboards) – especially for its primary mid-market target audience – Adaptive Insights has scaled-up its core planning platform to support larger enterprise requirements. In fact, I was not surprised to learn that 24 percent of its business is already with enterprise customers, although that figure is likely to grow substantially over the next few years as their sweet spot expands to firms with as many as 10,000 employees. Built from the ground up as a multi-tenant and in-memory offering, its core multidimensional modeling, reporting and analytics platform can now scale to support the needs of large and complex models (and enterprises). This applies to the number of transactions records / users / accounts / what-if versions / scenarios or dimensions in their multi-dimensional cubes. The Adaptive Insights for Sales solution appear to be the first of several new functionally-targeted solutions on the drawing board at it formalizes its vision of serving other functional domains beyond the Office of the CFO. Specifically targeting the sales operations function, the offering focuses on capacity and compensation planning, as well as quota and territory modeling and management. It is easy to see the significant opportunity in front of them – although they will no doubt face stiff competition, from specialists such as Ops Panda, as well as broader competitors such as Anaplan. While having six live customers is a great start, this is a new and different buying center for the firm, and will no doubt take considerable time to create and capture significant demand. Helping to propel growth – of both large enterprise accounts and its expanded bag of functionally-targeted solutions – is a direct sales force launched mid-year 2017 (which now has 8 reps). While Adaptive Insights estimates that 50 percent of its recent deal activity has been touched by its 200+ partners, its growing direct sales force will no doubt lead the charge as it moves up market and creates larger and larger (multi-function) planning relationships. Other planning-intensive areas that Adaptive Insights has already had some success include Workforce Planning, Project Planning and Operations Planning. Which one leads the way to become the next (functional) solution beachhead is not yet clear. However, what is clear is that Adaptive Insights will increasingly pursue a land-and-expand go-to-market model. At this point, Adaptive Insights biggest challenges appear to be execution related, as the market opportunity for cloud-based planning tools is robust and growing. At the same time, the space is ripe with both traditional competitors (e.g., Oracle, Anaplan, Host Analytics, IBM, SAP), as well as a bevy of emerging players mostly targeting specific niche markets. It will be interesting to follow how it plays out over time among Adaptive Insights’ large installed base of NetSuite customers, after its acquisition by Oracle a little more than a year ago. We like Adaptive Insights move beyond Finance, and beyond the mid-market, as it sets itself up to grow into a sizable platform-based business planning player. Many of the core user benefits that today brings it to the table in Finance will likewise play elsewhere – but it will take time and substantial sales and marketing investment / muscle to establish the brand beyond its well-known core Financial Planning beachhead. Continuing to put the pedal-to-the-medal on its international expansion and vertical offerings will also be critical for success. If you are not already subscribed to my blog, I encourage you to do so. After taking a couple of months off over the winter, I’m gearing up to more regularly publish again. This will include highlights from some new buyer demand research I have been conducting related to the digital journey, and the AI-driven future that is in front of us. Lots of interesting new insight on the horizon. Copyright 2017-2018 McNee Associates LLC. All rights reserved. For more information, visit http://mcneeassociates.com.